In this special guest feature, Pedro Alves Nogueira, Ph.D., Head of Artificial Intelligence and Data Science and a Director of Engineering at Toptal, observes that due to the low supply of AI professionals, competition to secure available talent is fierce. The hiring of AI specialists and data scientists is primarily monopolized by tech giants like Facebook and Google, which offer exorbitant salaries and competitive perks to AI talent — even those with little previous experience. This puts smaller companies that lack the resources to offer competitive incentives packages at a major disadvantage, and it continues to preclude them from finding talent to develop their technology. If there is a time deadline by which training must be completed, or if it simply takes too long to complete training, distributing the workload across many GPUs can be used to reduce training time. This flexibility allows GPU resources to be maximally utilized and provides high ROI since time to results can be minimized. HPE highlights recent research that explores the performance of GPUs in a scale-out and scale-up scenarios for deep learning training. 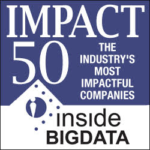 Our annual insideBIGDATA Executive Round Up showcases the insights of thought leaders on the state of the big data industry, and where it is headed. In our annual 2019 round up, we examine five topics: the importance of AI explainability in 2019, what industries are making the best competitive use of AI in 2019, how enterprises are seeking to improve technological infrastructure and cloud hosting processes for supporting AI, how AI-optimized hardware solves important compute and storage requirements, and how AI plays important roles at 3 leading companies.